There’s just something special about the Mach 429 carbon. Every single magazine test rider, every customer that owns one, and every person that has had a test ride on the 429 carbon cannot believe the incredible stiffness and precision. 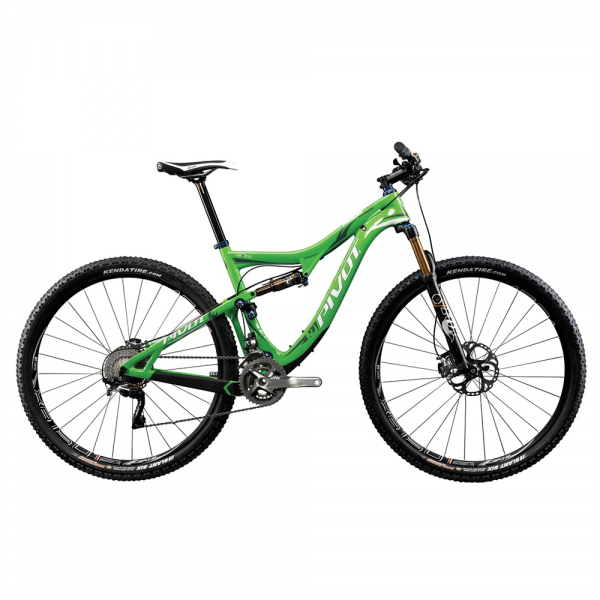 It’s as if at some point everyone accepted that a 29” full suspension bike was not going to be as stiff as their 26” counterparts…that is, everyone but us. 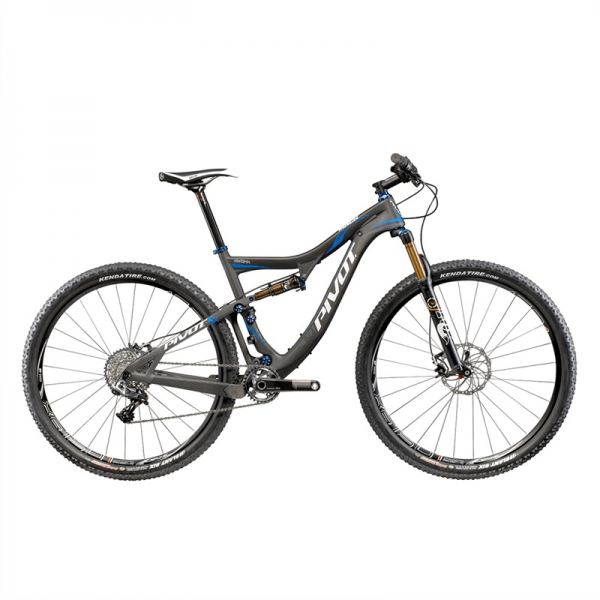 With Pivot’s exclusive hollow box internal molding technology, and attention to detail, the Mach 429 carbon goes where you point it, accelerates with authority and gives the 29er rider a level of precision and performance never before experienced. The perfectly tuned 4” (100mm) of dw-link suspension and incredible pedaling performance just add to the fun. It accelerates with the efficient immediacy of a hardtail, only you won’t feel the bumps, and descending on the Mach 429 will put most 5” travel bikes to shame. 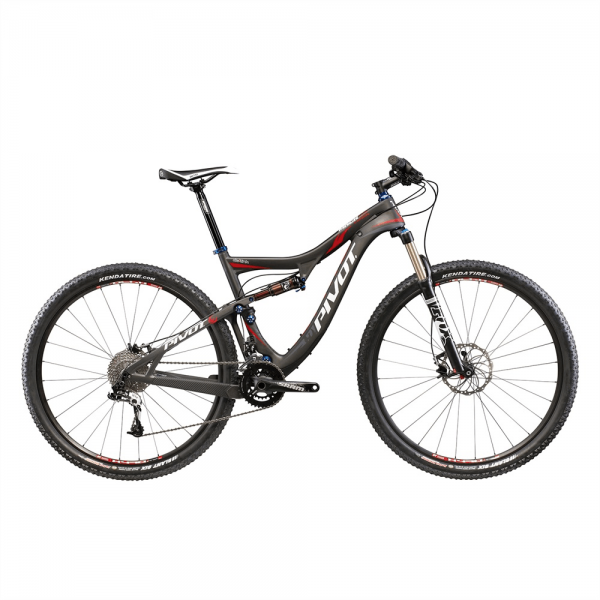 The Mach 429 carbon delivers a perfect balance; taking all the riding efficiencies of 29” wheels and delivering the handling characteristics of a 26”. It will make short work of any climb, descents a breeze, all with the comfort and efficiency of a dw-link Pivot so you can ride your best all day! • Pivot exclusive hollow box, high-compression internal molding technology allows for greater compaction and smoother internal walls resulting in a lighter, stronger, highly optimized frame design with the best stiffness to weight ratio in the class. 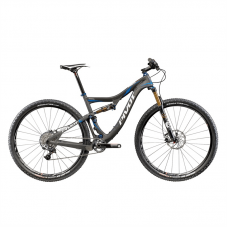 • 100mm travel dw-link® suspension design with position-sensitive anti-squat makes for a 29er that pedals, accelerates and handles like a 26” wheel bike. • Pivot specific, custom tuned Fox CTD shock technology: Increased performance and adjustment range allows riders to quickly and easily adjust for changing course or ride conditions. • Under top tube internal shift cable routing with clean disk brake and dropper seat post routing. • Rubberized leather chainstay, inner seat stay, and down tube protectors for a quiet ride and higher impact resistance.